My favorite season has always been Fall. I love environments most that are cozy and inviting — places where you feel welcomed and warm. When the weather starts to chill and the leaves start to turn, I find the urge to shake up my home and have it echo the amazing colors and sensations of the season. 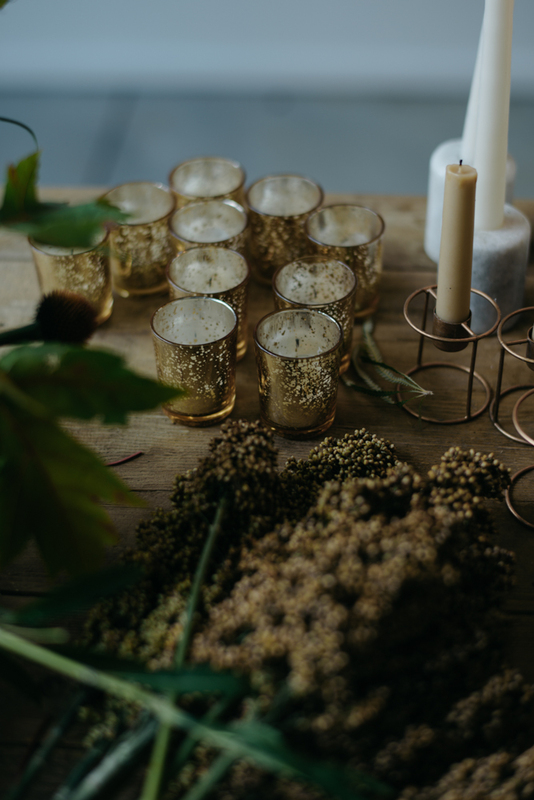 And despite what you see most, decorating for Fall and the Thanksgiving holiday does not have to be a trip to Michaels and a plethora of tchotchke items assorted on your mantle; it can be taking your space, and augmenting and refining it to feel like a natural extension of what you love. I asked our floral designer, Celeste Greene, to help us transform a blank living space into a perfectly simple and warm space eager for Autumn. Our stipulation: use materials that will last the season and make your home feel brightened for weeks on end. With an assortment of dried florals and leaves, a cold, modern canvas became exactly the type of space to grab a hot mug of apple cider and retreat. Enjoy! 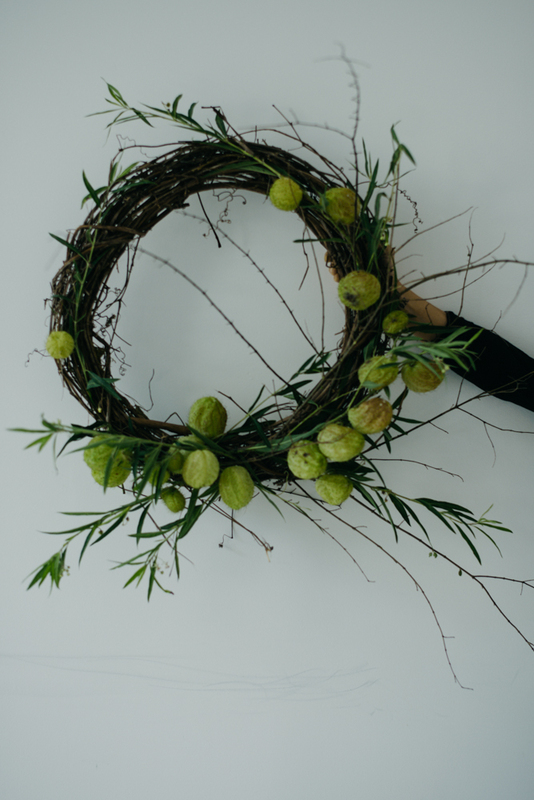 Interested in joining us for our Seasonal Wreath Making Class, or purchasing a custom wreath for the holiday season? Get in touch! All photos by Nicola Harger.